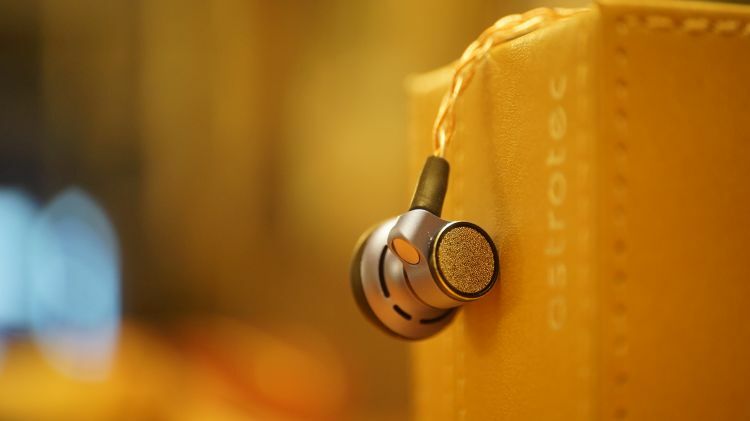 Recently, Astrotec had sent me a small package containing their 150ohm/32ohm Lyra earbud. Considering I’ve always been “that earbud guy” and naturally, of course, I was extremely interested in hearing a $299 earbud from this company. 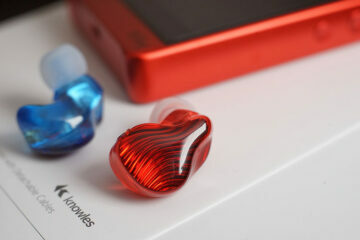 But, can a modern overseas brand live up to the hype of the last few generations of golden earbud sound? These guys have been around since 2002 and have had various adventures through the audio circuit with IEM’s strategically placed here and there. Yet, I’ve never heard of their brand before. Not to be confused with Campfire Audio’s Lyra, these earbuds and this company are entirely different and Asian Market based. I don’t really know much about them and have not experienced any of their other models. But, I am interested now in diving backward in time to hear what else they have to offer. This model comes in a 32 and 150ohm version. I wasn’t told this originally and it seems I was sent the 150ohm model. I had originally considered it a bit hard to drive and needed to bump the volume up a fair bit to get normalized sound on it, so based on that and that alone I am assuming I have the 150ohm version. There are three models in this series: the Lyra, the Lyra Classic, and the Lyra Collection. Each of various qualities up through this Collection edition that costs $299usd. For that price, you get an all metal housing with a fantastic braided cable. Atheistically, it is very pleasing and something I enjoy a great deal. I am a cable snob, I don’t like cables that are intrusive or get in the way. I want a custom look to them, always. I want a braided cable for extra strength. This Lyra really delivers on the stock cable, it feels a solid quality and does not feel cheap in the slightest. Standard 3.5mm cable end, also feeling hefty and of a nice quality. The earbud is also very comfortable and rests in my ear exceptionally well. I prefer these styles over the classic and more symmetrically adept cable styling with the said cable hanging down the center of the earbud housing. This offset design seems more comfortable for me. Sadly, the Lyra doesn’t have enough bass to feel linear or flat. Even with some +5dB added on the low-end frequencies, I still can’t get satisfying bass out of it. But, that problem is only with quantity. The bass that is there is very nice in quality. Overall fidelity on the low end is very good. 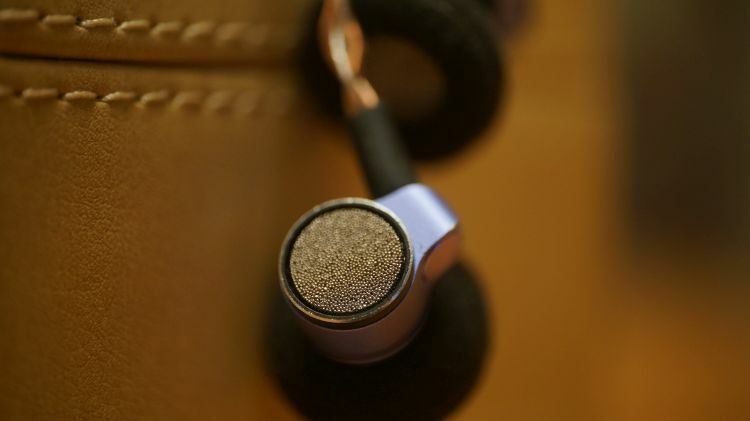 It happens to be one of the silkiest, smoothest and most detailed low ends of any earbud I’ve yet heard and my gosh, I think I’ve heard almost all of the more popular high-end earbuds out there. Purity factor is off the chart great when referencing other earbuds and I don’t notice even a hint of grain or shake in it, this is one of the least distorted bass signatures I’ve heard in an earbud of this style. Dynamic kick is a bit of an issue for me, I consider it bass thin and usually, that means snappy tendency as well. In his case, it does. It is a bit moderate on physical slam effect sometimes and I would prefer a softer approach to it sometimes. I am immensely impressed with the vocal experiences on this model. In fact, I think it is the cleanest sounding earbud I’ve ever heard in the midrange, as well as the most coherent and well formed in the shape of the presentation itself. But, this only seems to be the case with excellent amplifiers behind it. The more you pipe in, the better the fidelity seems to be, so this one scales up quite a bit. 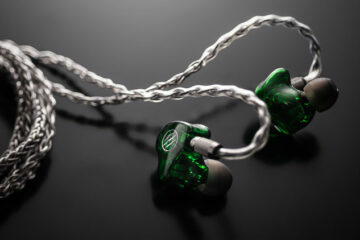 Overall fidelity in the midrange is stellar for an earbud and I have a few IEM’s that are looming in the $200 range that do not sound this nice. 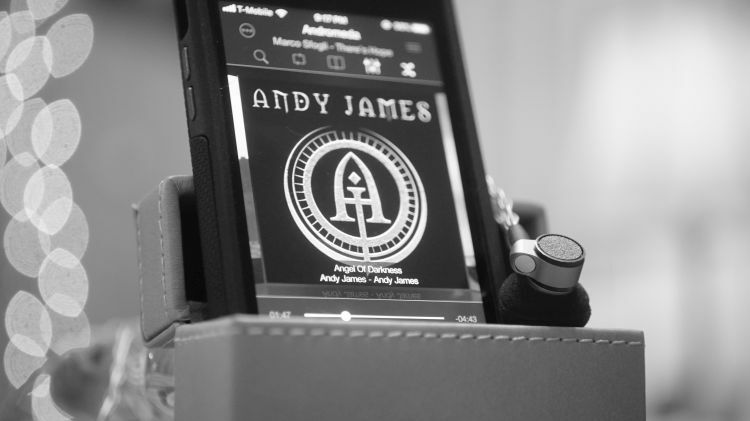 If you like vocalists (your Sinatra and Tony Bennet types) you will absolutely love this earbud. Coherency is a big factor for me as a listener. The overall realism and physical placement and setup is vital for a high fidelity experience. Earbuds just are not known for this type of a sound. Yet, this one does it very well and reminds me a lot of the older Sennheiser MX980 in the physical ratio’s allotted. That is a wonderful thing because I think this Lyra sounds noticeably superior in quality over my older MX980 with regard to midrange clarity. Realism factor is very good, no doubt. 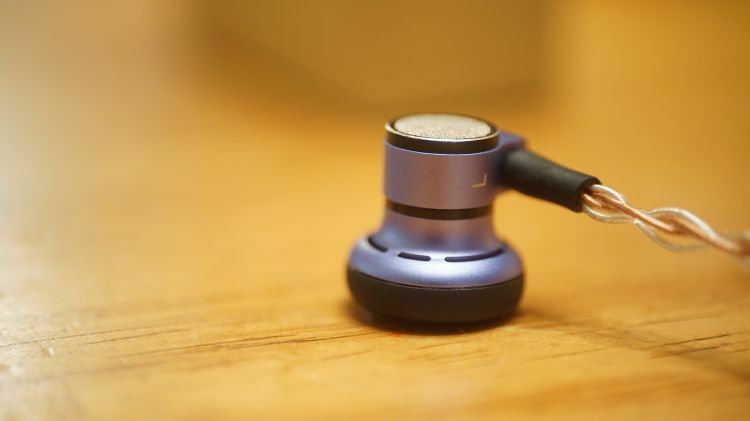 This is a step up from what I am used to in the current generation of earbuds and I am fascinated to see if any other companies in the near future pick this model up and see how they did it. If a relatively non-mainstream company can make an earbud like this, I am very curious to see what the bigger companies will/could dish out as a retaliation. The top end of this earbud is excellent. It offers me that subjective sparkle and zing that I enjoy a great deal. Objectively, I feel equally highly toward it. Treble is excellent on this model and I really enjoy screaming guitars and even the Classical genre, specifically, stringed instruments. Cello work, Violin concertos and similar all have that bite and brightness that do justice to the instrument. Quality aside and only talking about substance and density factor for a moment, I feel like the Lyra offers a very sensible physicality. 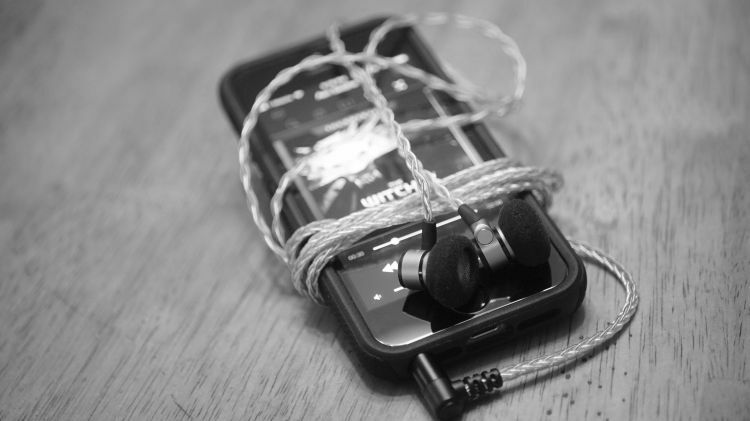 It isn’t overly weighty, nor is it thin as most earbuds tend to be. I don’t have another earbud in my collection that does treble in a similar manner. That makes me happy. Fidelity is fantastic up top, no doubt. But having said that, because the midrange has very little bleed from the low end and that the treble is as nice as it is, I feel like the earbud is a bit lopsided in that regard. It needs more bass to counter the nice and prominent forward midrange and excellent treble response. I simply feel like 2 out of the three quantities of the big three (bass, mids, treble) are too good and looming over the bass. Not many times do I get to say mids and treble overshadow the bass end. But, in this Lyra, I feel like that is the case. It isn’t particularly vast sounding, but it is very coherent and well-formed without much lacking in the way of height, width, and depth. I rate well in each area with none of the three lacking. No, don’t expect the MX980 type of a sound field in the void, but do expect a very intimate and nicely setup soundstage in terms of physical quantities of height, width, and depth of field. Separation of instruments is a bit crazily excellent, due to the open back design that does leak a bit of sound but not too much, don’t worry. That excellent midrange realism factor really adds to the nice, open feel of this product. My ear tends to cling to that coherency most of the time and I route my playlists to something highly intimate with a focus on treble and midrange, leaving bassy tracks as far away as I can. Amplifiers and DAC selections don’t seem to matter. It sounds virtually the same on my iPhone SE’s 3.5mm output as it does with a DAC connected to my iPhone, or my home desktop rig that is composed of much nicer gear. No worries about staging needs in your portable rig, it is probably going to sound virtually the same so long as you are using anything in the middle tier of better for quality products and DAPs. This is a fantastic little gem of an earbud that really impressed me. I am a bit upset by the lacking bass substance and quantity factor because the midrange and treble experience above it was so much nicer and much more full sounding. The earbud is very well made and has a fantastic cable. But, for $299, I expect more of this in 2018. So be that lacking in bass quantity compared to such an excellent midrange and treble experience makes the presentation feel overly lacking. No matter how I EQ it, I cannot achieve more bass to satisfy myself. I can’t recommend it at $299, even though I think it is an overall excellent sound. As much as I enjoy it and think it is a quality product, I feel like that price is too high in today’s market and the earbud doesn’t really have anything truly exceptional to justify $299. If it were more like $199, I’d be rating this much higher. I feel like this product is a niche for earbud enthusiasts like myself. I’d buy this for $300 but that’s because I love earbuds and will pay anything to get a great sounding, top-tier earbud in my head. Even though I’d pay that much, I don’t expect anyone else outside of the most die-hard earbud fanboys, like myself, to shell out $299 for it. Despite that sentiment, I do enjoy it and I do think it is a great earbud. It is just a bit too overpriced for me.